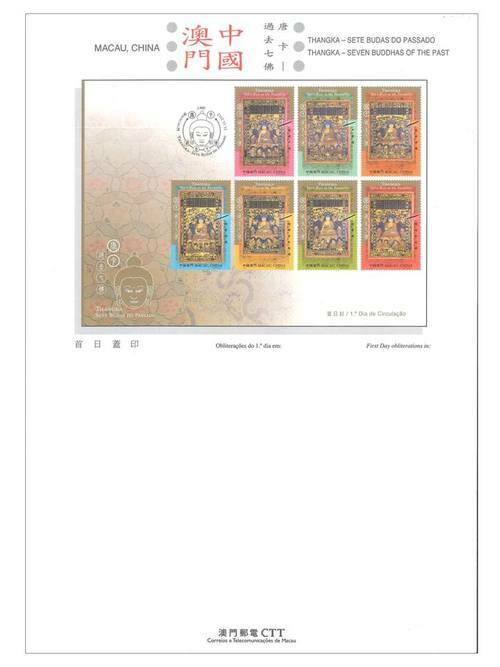 Stamp Issue "Thangka – Seven Buddhas of the Past"
Macao Post and Telecommunications Bureau will issue the stamp theme “Thangka – Seven Buddhas of the Past” on 21st November, 2017. Thangka is also known as “Thang-ga”, which is a phonetic translation of Tibetan. Thangka is an unique religious scrolled painting in the Tibetan culture with distinctive Tibetan characteristics, prominent religious colour and distinguishing artistic style; which depicts the sacred world of Buddha with bright colours. Thangkas are deemed as an “encyclopedia” of Tibetan ethnicity for the variety of themes represented, and also the Intangible Cultural Heritage of Chinese folk art. In terms of craftsmanship and material, Thangkas are classified into many types including: Hand-painted Thangka, Embroidered Thangka, Silk Tapestry Thangka, etc. 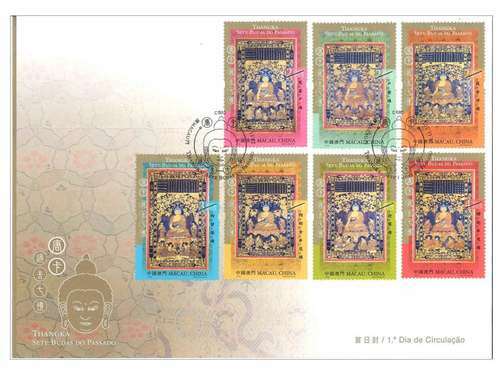 This issue includes a set of seven stamps, illustrate the royal Silk Tapestry Thangka of Seven Buddhas of the Past, is also known as the Seven Primal Buddhas, they were Vipasyin, Sikhin, Visvabhu, Krakucchanda, Kanakamuni, Kasyapa and Sakyamuni. The four corners of this set of Thangka are scribed with the phrase “Endorsed by Emperor Qianlong in Dingyou” (1777) in the characters of Chinese: Han, Manchu, Mongolian and Tibetan. 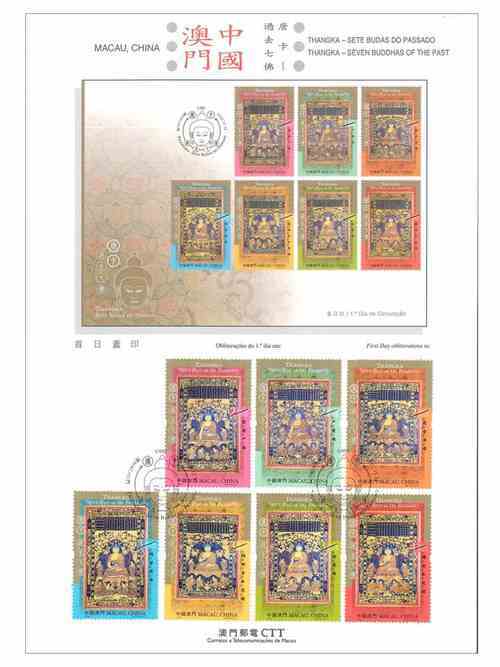 The year 2017 is also the lunar year of Dingyou, so this issue has a very special meaning. This is the eleventh theme in 2017. 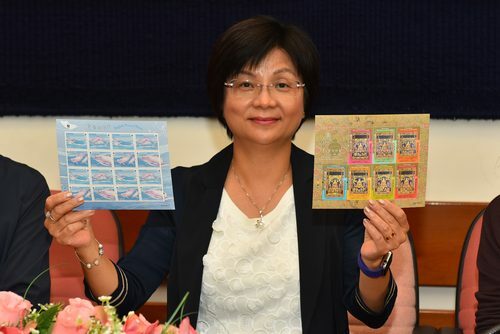 The previous issued stamps are “Lunar Year of the Rooster” on 05/01/2017, “Macao: Back to Common Roots” on 10/02/2017, “Traditional Chinese Culture” on 01/03/2017, the label stamp “Lunar Year of the Rooster” on 17/05/2017, “Chinese Opera – Farewell My Concubine” on 08/06/2017, “Social Welfare Services of Macao” on 03/07/2017, “90th Anniversary of the Founding of the Chinese People’s Liberation Army” on 01/08/2017, “Tung Sin Tong – 125 Years of Society Solidarity” on 08/08/2017, “150th Anniversary of the Birth of Camilo Pessanha” on 07/09/2017, “Lotus Flower” on 09/10/2017 and “Chinese Furniture” on 10/11/2017. 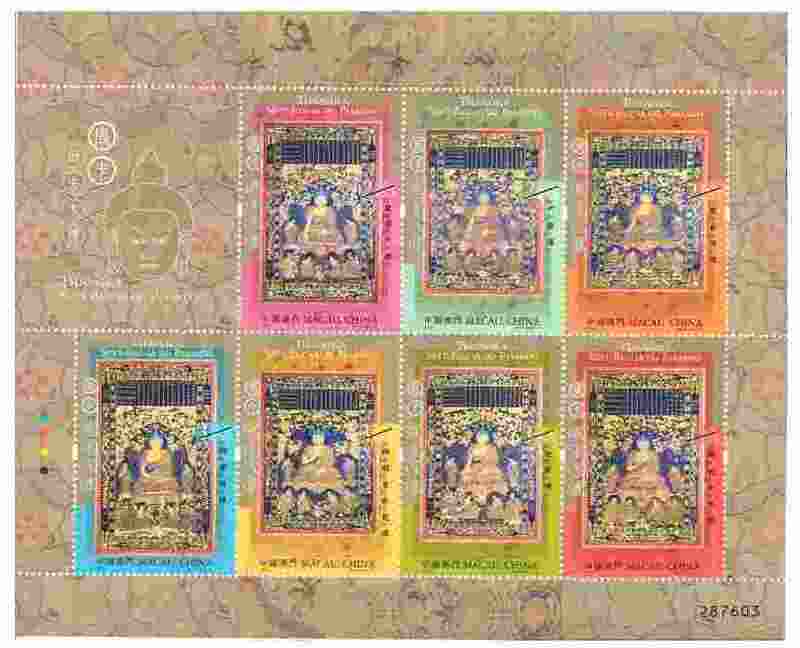 Technical Data of Stamp "THANGKA – SEVEN BUDDHAS OF THE PAST"